The rapid development of the East area is attracting the attention of Saigon’s real estate professionals. One of the reasons that the East area has become so prominent is the rapid development of its infrastructure. Thanks to the advantage which is being the connection gate of the whole southern region, the policy of developing the infrastructure of the city is favoring Saigon’s East area. Besides the completed and already put into use projects such as Ho Chi Minh City – Long Thanh – Dau Giay Highway, Vanh Dai 2 Road (Vo Chi Cong), Thu Thiem Bridge and Tunnel, Saigon 2 Bridge, expanding Ha Noi Highway etc., the East continues to “expand” with projects such as building Thu Thiem 3 and 4 bridges, My Thuy’s traffic junction, Vanh Dai 3 road, expanding Nguyen Duy Trinh road, parallel road to TP. Ho Chi Minh City – Long Thanh – Dau Giay Highway etc. That is not to mention Ben Thanh – Suoi Tien metro route and Rach Chiec sports complex are also being built urgently. On June 29th , the 4-lane overpass at the My Thuy traffic junction has officially been opened to traffic, making traffic in Cat Lai more smooth and convenient. Currently, in the East, Cat Lai has received many traffic infrastructure projects with the investment capital up to trillions VND. Earlier, the bridge connects to Diamond Island was also opened to traffic in late May. Coming soon, Cat Lai is going to continue the construction of projects such as the expansion of Nguyen Thi Dinh Road to 60 meters and building Cat Lai bridge etc. A series of modern key projects have been synchronously zoned to become a high-class center of Finance – Commerce – Services which has made the East’s real estate continuously be in the lead in terms of trading volume as well as price amplitude . This area also wins many “priority” investments from the foreign block from international brands such as Lotte (Korea), Mitsubishi, Toshiba (Japan), Keppel Land, Capitaland (Singapore) etc., which shows the attraction of East Saigon area’s Real Estate. Especially, in the context of the scarcity of clean land fund in the center and expensive real estate, the East – which has fresh living space and great potential in increasing the value of real estate – is the great choice for the customers, the absorption rate always reaching over 90%. In District 2, shortly after Thoi Dai Bridge’s opening to traffic through the Diamond Island, the market has been “tuned” to the price increase. 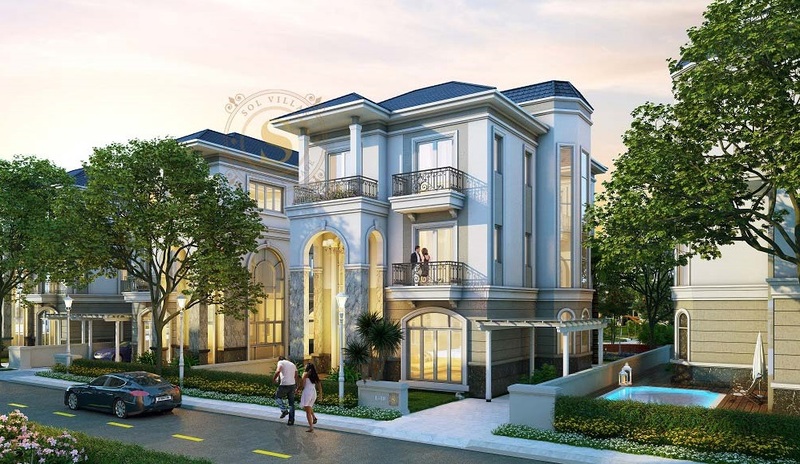 Before, the price of a high-class villa’s platform at Thanh My Loi residential area was just above 80s million VND/m2, but now even the lowest price is above 100 millions VND/m2. From the reality at Thoi Dai Bridge, a real estate expert commented that the price movements would also be similar to the price movements in area surrounding My Thuy traffic junction of Cat Lai new urban area. Prior to that, in the first three quarters of 2017, land’s prices in Cat Lai had many hot spike waves with the average prices about 25-26 millions VND/m2. By the end of 2017, land prices rose to VND 28.5 millions VND/m2 and continued to rise to 35 million VND/m2 in the first quarter of 2018. Currently, Cat Lai’s land prices is at 40-45 million VND per square meter . According to CBRE’s real estate market report, in the first quarter of 2018, the number of transactions increased sharply in the first quarter and was expected to continue to boom in the second quarter. Saigon’s East area is still the main focus of supply in HCMC with 59%. In particular, the products of townhouses and villas accounted for less than 10% of the total supply while the demand for this product has been increased sharply, leading to price fluctuations in recent times. 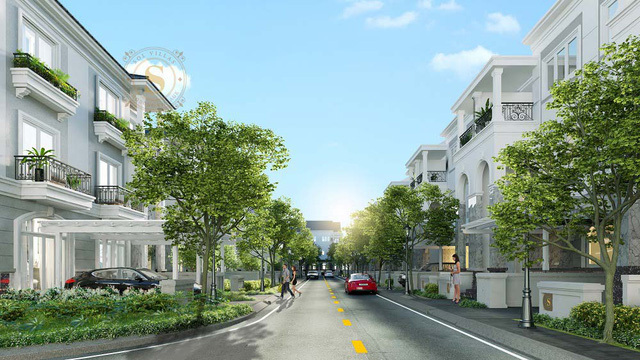 In fact, in May 2018, the entire market of District 2 had only 1 Villa project announcement, that is the Luxury compound Sol Villas project with the scale of 4.5 hectares, including 101 luxury villas, located right at the PhoDong Village center of the completed 41 hectares PhoDong Village, invested by Saigon Construction Corporation (SCC), distributed exclusively by DKRA Vietnam. Speaking of Cat Lai area only, Sol Villas is a high-end villa that was developed in the last two years. Immediately after the sale, Sol Villas’s sale reached 100% of successful transactions.